How much does a Intake Manifold Runner Control Replacement cost for your car? 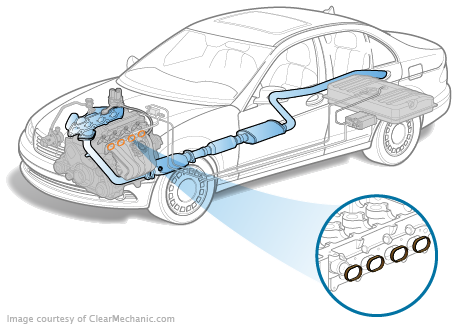 The cost of a Intake Manifold Runner Control Replacement depends on the type of car you drive. What Is An Intake Manifold Runner Control Valve? When it comes to your air/fuel mixture, the intake manifold is one of the most vital components. Kept in place the by intake manifold gasket, this valve opens and closes to change the amount of air let into the combustion chamber based on your car’s speed. When it requires more air and your car is going at high speeds, the butterfly valve will open. However, when you are cruising through say a suburban neighbourhood at the speed limit, the valve will remain virtually closed. A malfunctioning valve will definitely damage your performance, but if it is not opening, it could even be dangerous. Your car will need larger amounts of air on highways, and if your car is not able to get that you could be rendered much too slow to keep up with other drivers. Usually, you will pay the price only in performance and gas money, but that alone is enough of a reason to replace it. If you are experiencing these symptoms, call an expert mechanic for an inspection as soon as possible.